Entry-level tournament where you compare two wines head-to-head. Best when shared with friends as you open two full-size bottles at one time. The "game" experience could be structured to support various levels of interest, in case you?re tired and you mostly just want to enjoy the wines and the experience of comparing them. We can't find a link to Battle of the Month - Explorer. Please have a look around our site to see if you can find something else you'd like. What is a Battle of the Month anyway? The Battle of the Month Club from Wine Battles is the monthly club version of the innovative wine battle program from Wine Battles. Wine Battles is a new, and special, kind of wine club. The company has taken their unique tournament-style platform—where similar wines go head to head, vying for the top spot in their category and price range— and spun it out into a monthly wine club. Now you can get the head-to-head experience every month, regardless of the tournament schedule. A clear sheet to help you document your thoughts on each aspect of the wines, including aroma, body, acidity, and sweetness—the basic building blocks of any wine. Instructions on how to prepare the wines, how to pour them to enhance the tasting experience, how to assess the color, clarity, and viscosity. The professional “tear-sheets” that wineries use to help retailers promote their wines. Wine Battles doesn’t stop at wine education and competition (for the wines) though, they give you even more benefits to sweeten the deal. Wine is best with friends, and more wine is better, too, so Wine Battles has a refer-a-friend program. As is the case with the better wine clubs out there, you get a discount if you reorder your favorite wines. The Explorer Level Battle of the Month Club is best suited to casual wine drinkers, accustomed to drinking wines in the $15-18 range. Beyond the carefully constructed tasting experience which you get in your own living room, to be shared with your closest family and friends—or maybe your book club group who drinks more wine than reads books—the Wine Battles Battle of the Month Club makes an amazing gift. The presentation is top-notch and goes above and beyond any wine club we’ve seen. In the first shipment, in addition to two carefully selected bottles of wine, the recipient will find his “Battle Pack,” a wood box custom engraved with the Wine Battles logo. Inside he will find a formal letterpress invitation, welcoming him to the battle ahead. He also receive a dossier for the wines that contains the items listed above and even more goodies to further his wine education. It is an over-the-top experience sure to impress anyone who appreciates attention to detail or can’t get enough pomp and circumstance. 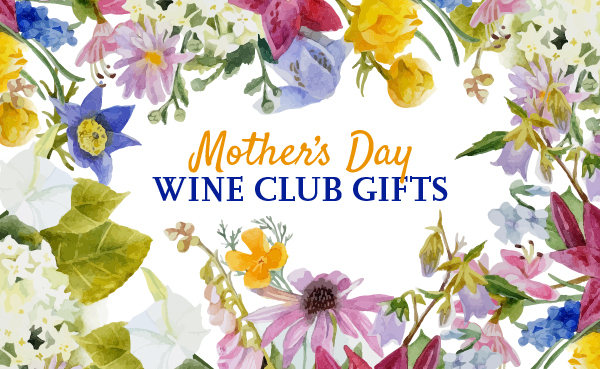 Whether your recipient is new to wine, or an experienced wino, he’ll appreciate the thoughtfulness of this gift. We think it makes an exceptional gift for these occasions--weddings, engagements, housewarmings, and college graduations (assuming the graduate is 21 years old, of course). In a business setting it also makes a lovely holiday gift, or reward for a job well done. Wine Battles is advancing the wine club to new levels where you, the Battler, will drink, review and vote for your favorites. By tasting and voting, you help decide which wine should advance. Choose the right wine and your score will rise! With each shipment comes the Battle Pack, containing the Wine Battles Tasting Guide, game instructions, voting sheets and tasting notes from the Wine Battles Tasting Crew. Membership has its privileges and every Wine Battles member will receive your own account, personal flavor profile, ability to rate your favorite wines and exclusive access to interact with other battlers and vintners. This is perfect for date night, girls night out or simply a way to enjoy and learn about wine together, from your own couch! Start or stop the Battle whenever you want.